(12-05-2017, 09:55 AM)gkkpch Wrote: yes, the initial version supports automatic detection of emmc or sd as the boot device. I have been attempting to install volumio using androidtool and unfortunately it isn't allowing me to load the firmware. Is there a step by step to load to EMMC using windows 10? Since the early days of Odroid’s I have used nothing else than an emmc-to-sd adapter and flash images using dd on Linux or win32diskimager on Windows. People say, etcher on windows is good too. You can find an adapter in the pine store. Tried the October 2017 image with i2s setting along with i2s wiring to my DAC. Using same hardware config with a OCROID C2. 192k or 96k/24bit files seems to play fine. Sounds nice. Volumio UI working well. I've built a little music server with the rock64 and volumio. Connected USB 3.0 to SSD drive and using wifi stick in the 2.0 USB port. Little flakiness with networking but could be something going on with the hardware arrangement. Can't get the "volumio.local" address to work like the Odroid c2 so directly http'ing to IP address. Sometimes forced to fall back to hotspot connection. Updated Volumio (ROCK64) 2.390-2018-03-27 on Wiki and PINE64 Installer. That minor hiccup aside, it is both volumio 2.390 and the DAC are working great and sound good. I'm guessing the SPDIF is working fine also as the port does light up if I change the audio output to SPDIF, but I don't have a SPDIF amp handy. I remembered the MiniDisc units I have have optical in via 3.5mm jack, and let you monitor the output. I switched volumio back to SPDIF, connected the MiniDisc up, and clicked on the next track to play and it also works perfectly! Great work guys! 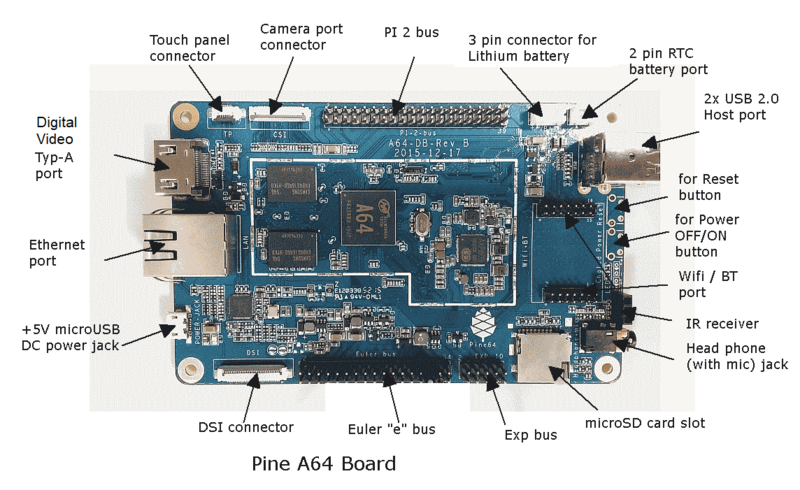 Updated Volumio (ROCK64) 2.462-2018-09-29 on Wiki and PINE64 Installer. Above you mention is latest version we have. New Volumio image is now available thanks to Ge !